In order to cultivate a creative environment and solve complex problems, team members of diverse backgrounds must come together in an open discussion built on trust and honesty. The ability to share ideas both good and bad is contingent on the lack of fear team members have. Effective collaboration can lead to powerful discoveries and achieve amazing results. Looking to facilitate more collaboration and creativity in the studio, the team at Ashcraft designed Lida. 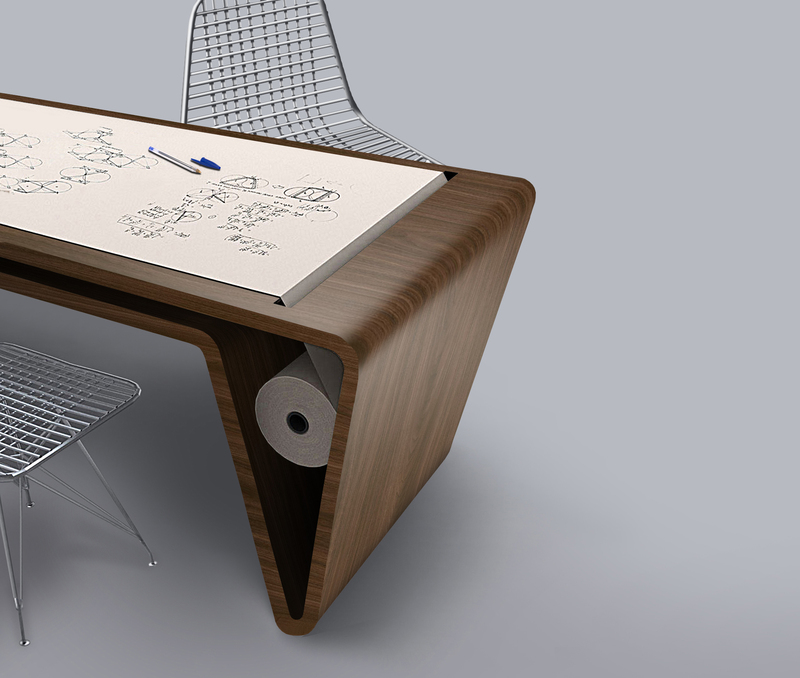 It is an architecturally inspired table that facilitates collaboration and ideas through sketching while sitting and discussing concepts as a team. 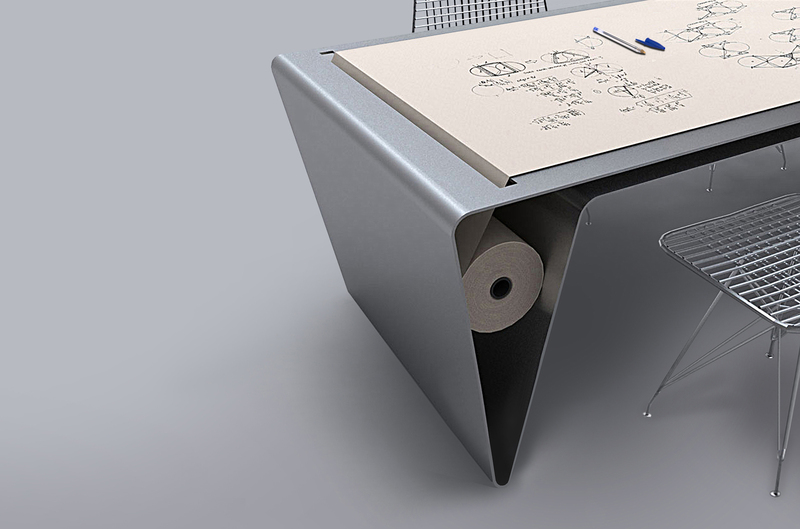 Lida is a simple design that incorporates a roll of paper that can be stretched out over the table and continually be renewed as fast as the ideas flow. It promotes teamwork, growth, idea generation, and creativity. It facilitates trust and promotes open communication so that a wide variety of ideas can be explored without fear of repercussion. With the paper spanning the whole table, ideas are shared because they are not constrained to a tiny piece of paper placed in front of each individual team member. With one sheet of paper that can continuously be renewed, teammates are encouraged to build upon each others ideas the moment inspiration strikes. From this, ideas become the property of the collective rather than the individual. What makes Lida so beautiful is its fusion of form and function. Lida is meant to be used, not just admired. 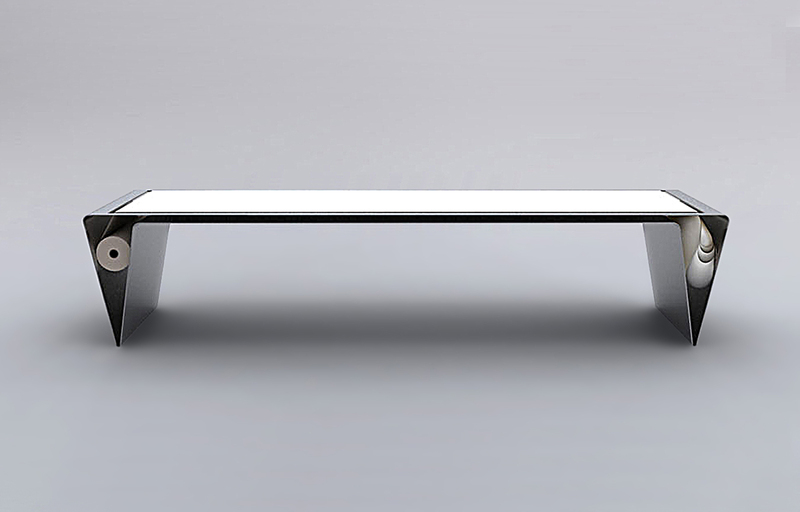 Some people have infinity pools, we have infinity sketching tables.